Donald Trump is reportedly considering a Democrat for his latest cabinet pick, energy secretary, but he's about as far from a tree hugger as you can find. Senator Joe Manchin of West Virginia, the rumored choice, is from the heart of coal country. He's "being considered to show the coal people how serious Trump is about coal," according to a source who spoke to Politico. The pick is far from finalized, but the conservative Democrat said that he would happily consider manning the Department of Energy for Trump's administration. "If I can do anything that would help my state of West Virginia, and my country, I would be happy to talk to anybody," he told Politico. "Other than that, I haven't heard anything ... I have nothing scheduled." In Manchin, Trump would find a kindred spirit in enthusiasm for the U.S.'s coal industry. Even though the two differ on some issues — Manchin has "said repeatedly that I believe climate change is real," while Trump at one point tweeted that global warming was a hoax created by the Chinese — both share a desire to ensure coal miners have a future in their occupation. Trump, who at one point called himself the "last shot for the miners," has repeatedly pledged to save the country's coal sector from ruin and curtail President Barack Obama's environmental regulations. At a July rally in Scranton, Pennsylvania, Trump promised to "bring back coal and get clean coal" and to "put [coal miners] back to work." Such pledges helped win him Pennsylvania as well as Ohio during the general election. 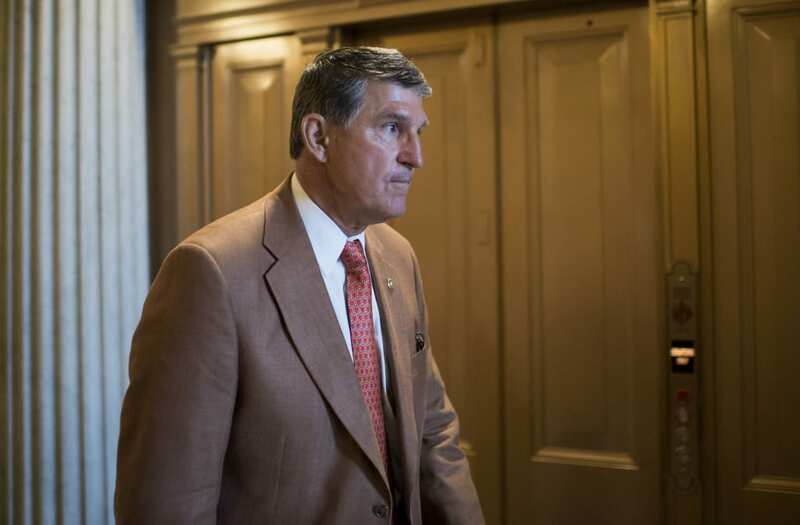 Manchin, meanwhile, has lambasted the Obama administration over its "war on coal" and has passionately lobbied to make sure coal is part of America's energy future. He has argued that eliminating coal would put America at a competitive disadvantage, and have "disastrous consequences" for the country's economic recovery and its coal workers. "It is only common sense to use all our domestic resources, and that includes our coal," Manchin said in a 2013 statement. However, there is no denying that coal is riding a downward spiral in the U.S. According to a 2015 report by the U.S. Energy Information Administration, 33 percent of the country's power is still generated by coal, but a decade ago that was 50 percent. Both market forces and regulations have led to coal's decline in America: natural gas is now a much cheaper energy option, and any plan to keep the coal industry afloat would likely require major subsidies (which already cost U.S. taxpayers billions). In addition to natural gas, coal, which contributes harmful greenhouse gases to the earth's atmosphere while polluting air and drinking water, is being phased out increasingly by renewable energy options. Since 2014, wind and solar have been the biggest electricity sources added to U.S. grids, while a record number of coal-fired power plants were shuttered. As such, energy analysts doubt Trump will be able to revive the coal economy during his term in office. "I don't think the Trump presidency will have a material impact on bringing coal miners back to work," Ted O'Brien, a coal analyst at the energy industry research firm Doyle Trading Consultants, told the New York Times. "He may eliminate the regulatory overhang... but I have a hard time seeing a surge in coal demand." This is especially true given coal's dirty reputation. Travis Nichols, a spokesperson for Greenpeace, noted that the process to "clean coal" led to a disastrous chemical spill in West Virginia just two years ago. "Manchin's biggest funders have been mining and utility companies who tout 'clean coal,' the process which poisoned the drinking water of 300,000 people in Manchin's state," he told Vocativ in an email Thursday. "If [Trump] picks Manchin to be his energy secretary, Trump would only be making America great for himself and people like him, while risking the health and safety of the middle and working class." The post Trump Considers Coal-Loving Democrat For Energy Post appeared first on Vocativ.